Jose Wendell P. Capili earned his degrees from the University of Santo Tomas, University of the Philippines (UP), University of Tokyo, University of Cambridge, and the Research School of Pacific and Asian Studies (now School of Culture, History & Language, College of Asia and the Pacific), Australian National University. 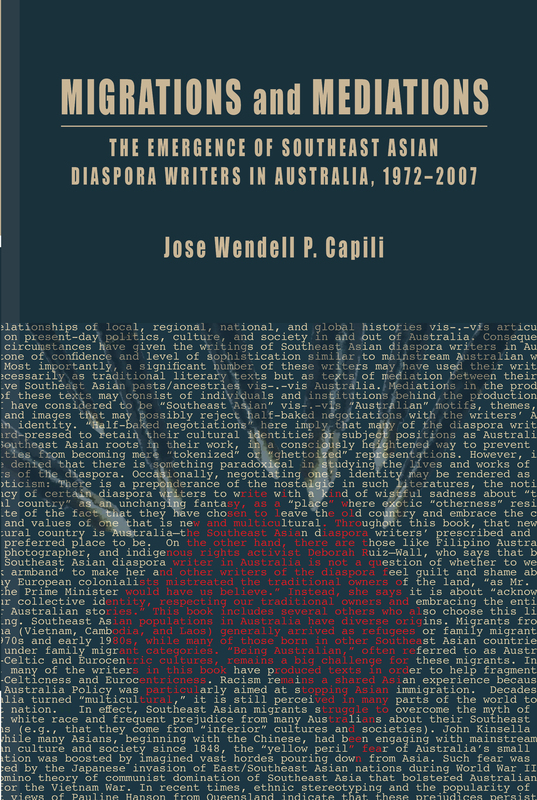 Capili has published seven books and over three hundred articles in Asia, Europe, North America, and Australia. He received Carlos Palanca, Cultural Center of the Philippines, USTETIKA, and UP Gawad Chancellor awards for his poetry and essays as well as scholarships, grants, and fellowships from Japanese, Korean, Malaysian, Singaporean, Hong Kong, Philippine, Australian, and British governments. He was a recipient of the Carlos P. Romulo Professorial Chair and the UP Centennial Professorial Chair. He was a Visiting Scholar, Writer and Professor at the Seoul National University, Yonsei University, Waseda University, University of Cambridge, University of Hong Kong, University of Malaya, National University of Singapore, University of Sydney, University of Western Australia, University of Melbourne, and the University of Queensland. His creative and critical productions were presented in many conferences and festivals, including the Cambridge Seminar on the Contemporary Writer (2000), Hong Kong International Literary Festival (2001), Sydney Writers’ Festival (2007, 2008), and The 76th PEN International Conference in Tokyo, Japan (2010). He is a professor of English, creative writing, and comparative literature, UP Diliman, and the assistant vice president for public affairs & director of the Office of Alumni Relations, UP System.